Want to get Scuba Certified? Take a scuba lesson! Scuba Diving is a fun and exciting activity, but it requires proper training. Our goal is to make you safe, confident and comfortable divers. 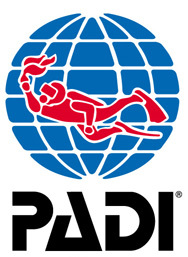 Sign up for your online learning to get started, and come to us for your confined water & open water training dives. The fun part about this course is . . . well, just about all of it because learning to dive is incredible. You breathe underwater for the first time (something you’ll never forget) and learn what you need to know to become a certified, confident and comfortable diver. During the course, you’ll make at least five pool dives and four dives at local dive sites under the supervision of your PADI Instructor. We adjust the locations for your training to you and the season. We want you to have the best experience and best conditions for training and diving. We encourage the eLearning so you can proceed at your pace and schedule, but we will provide the classroom training by request. Our open water training courses include the certification card, the Electronic Recreational Dive Planner, a log book and a safety sausage. What are your learning options? Custom Scheduled Courses can be arranged at your convenience. 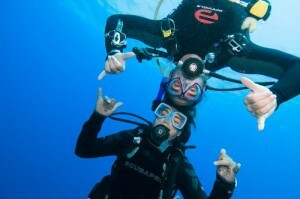 This package includes two additional dives under the supervision of an instructor. We don’t limit you to four dives, but include two dives beyond the required four so that you have experienced different conditions and environments in addition to completing your certification course. We have two fresh water divers in different locations and then we augment by having four ocean dives. The package includes two local fresh water dives, two nights lodging in South FL or Key Largo, four ocean boat dives, and you may ride in our van to/from the destination. The package includes two nights lodging in South FL or Key Largo, four ocean boat dives, and you may ride in our van to/from the destination. This package has four dives at a minimum of two locations as a part of the open water portion of the training. This will provide you a more well rounded experience than repeated dives at the same location. This package includes four local fresh water dives at a minimum of two different locations. Since everything is close to the shop, it fits tight schedules very well. *the last day schedule for this course is a "cushion" day. This day is built in for weather or other unexpected events. Should no delays arise, the course will end the day before.